It’s easy to assume that user acquisition is the central metric for determining mobile app success, but without active users, high download rates mean nothing. Brands are spending an enormous amount of money acquiring users; however, it only begins here. After acquiring users, the value is in engaging and retaining them. Mobile app engagement and mobile app retention are two metrics that provide genuine insight into the success of an application. Low app engagement and retention are a recipe for failure, while high engagement and retention equal the opposite. Engagement – describes how active users are on the application. While this is a somewhat subjective metric, Localytics describes highly engaged users as those that have 10+ sessions per month. Retention – while again a somewhat subjective term, the industry benchmark is the percentage of an app’s users who return to the app within three months of their first session. Localytics even defines mobile app user retention as a user that returns to the app at least 1x within 30 days. It’s important to note that every brand will have an individual definition of engagement as retention, depending on the nature of the app. The average of these two combined determines an app’s “stickiness” – how engaged and loyal users are for a particular app. For those that are concerned primarily with user conversions and/or monetization, the most important objective is to keep users engaged and ensure repeat usage. Recently, Localytics dug through their data and found that just last year, the average mobile app retention rate was 20% after 90 days across all industries. This finding means that 71% of all app users churn within 90 days. Achieving sufficient mobile app engagement and user retention rates is a difficult task. In fact, user abandonment (apps used only once and then abandoned) accounts for 23% of users. There has been a slight improvement in user abandonment rates in recent years, but almost a quarter of users still desert applications almost immediately. Furthermore, if an app is opened only once in 7 days, there is a 60% chance it will never be opened again. The reality is, mobile app developers are up against a competitive market in which users have a lot of choices. Increasing engagement and retention will lead to more active and loyal app users. The following tried and tested methods will help you produce results that many brands are failing to achieve. There are a few critical steps you can take that will help you establish your app for higher engagement and retention rates before you even launch your app. You should be thinking about your app engagement and retention strategy long before you launch your app. The first and arguably the most important step in boosting your engagement and retention rates is to build a quality mobile app. It’s rare that an app will be without minor bugs upon launch. It’s important to test your product correctly before shipping and ensure there are no significant issues. A diligent quality assurance process will help your team deliver a better product to market. If your app lacks proper functionality, your users will abandon the app without hesitation. Every time your app crashes, lags or has slow load times, all your other mobile app metrics will be affected as a result. For this reason, it’s important to track both front-end and back-end functionality to get a thorough understanding of how well your app is performing. 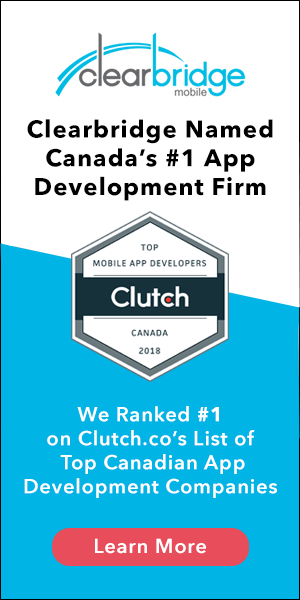 Make sure you’re partnering with experienced mobile app developers that have the expertise in building high-quality products. The app store listing is typically leveraged as a platform for app downloads; however, it can play a significant role in engaging your users before they download. You need to do an excellent job at selling your app to users in the app stores. The more successful you are at doing this, the more likely they are to remain engaged and return to use your app frequently. To do this, you need to demonstrate how your app is addressing their pain point or a struggle they’re experiencing on a regular basis. Simply showcasing the app features won’t get you very far. Users are looking for the benefit the app provides. At this stage, users are deciding whether or not your app is worth downloading, so you need to have persuasive messaging to demonstrate the long-term value of your app. If you can do this effectively, and follow up by delivering value, your users will be a lot more likely to remain engaged over time. The Google Play Store and App Store algorithms take into account engagement, not just app downloads. It’s important now more than ever to amplify your engagement efforts as the app stores are now seeing the overall picture, not just the install numbers. While this means better quality apps in the respective stores, it also means you need to put a lot more work into in-app user behaviors. After you’ve built a quality app and mastered the app store listing, there are a number of tactics you can use to boost in-app engagement that will lead to higher retention rates, starting with simple, yet informative user onboarding. Providing a seamless onboarding experience can help significantly reduce abandonment rates. The more difficult it is to begin using an app – too many steps to sign up, too many information fields, complex features/functions, etc. – the more likely users are to abandon it. First impressions are imperative, and user experience is no exception. Apart from ensuring users don’t abandon the app, effective onboarding has been shown to increase user lifetime value by up to 500%. The following steps can help you create an intuitive, frictionless app onboarding process. Make logins and account creation easy (reduce steps for signup, offer multiple registration options, etc.). Push notifications have been shown to increase user retention, with statistics showing anywhere from a 56% to a 180% improvement. Users who have opted into receiving push notifications exhibit 88% higher app engagement than those who haven’t. Push messaging serves particular and essential functions. For one, it helps remind users that they’ve downloaded your app, which is important when you’re competing for valuable real estate on a user’s device. Implemented effectively, it can also help encourage usage through targeting messages based on behavioral data and preferences. For applications that serve very specific functions and aren’t likely to drive daily usage, it can help engage users by providing them a compelling reason to return (for example, a discount or promotion on a service/product). According to Single Grain’s Guide to Mobile App Advertising, push notifications are useful in capturing a user’s attention at just the right moment to send them straight to your app to perform a specific action. Mobile personalization is arguably one of the most important aspects of a compelling application. Personalization helps provide a more unique, relevant experience to the user. The more aligned the experience is with a user’s needs and preferences, the more likely they are to continue to use the application. Apps no longer deliver uniform experiences. Whenever possible, personalize the user experience by using known data to display relevant content and material in the app. Customized content and tailored insights deliver real value to the user. Including the user’s name on screens and in messaging is an easy way to personalize, but diving deeper to ensure push notifications are hyper-relevant to the particular user is where personalization truly thrives. In fact, tailoring push notifications to user interests have a 54% conversion rate, versus 15% from broadcast messages. Users are asking for greater personalization, so it’s important that you meet their demands by tailoring their interactions to their preferences, location, and individual behaviors. But you need to tread carefully; if you implement push notifications improperly and send users irrelevant messaging or notifications that users deem annoying, they will have the opposite effect. To drive engagement and retention you need to give users incentive to use your app. Mobile-specific rewards, specialized content access, coupons, special promotions, and other offers will help drive conversions and encourage engagement. Obviously, the ways you can incentivize users will depend on the nature of the app. For example, apps that use in-app purchasing as a monetization model will benefit from time-sensitive discounts, whereas freemium apps can incentivize users by providing usage-based rewards. Asking your users for feedback will show that their input is being considered to drive the app in the direction they want it to go. The added benefit of opening these lines of communication with your users is that they won’t be as likely to post a negative review on the app stores if they can tell you first. Showing responsiveness and addressing any questions or concerns will boost your engagement and retention rates, encourage positive reviews, and build long-term brand loyalty. All successful apps have one thing in common: they can develop habit-forming behaviors by building their app around the daily routine and emotions of users. If you think of brands like Snapchat, Evernote, or Twitter, they understand the pain point of their target audience and build out their features to link to their everyday routine, which encourages them to use it on a frequent basis. Addressing the needs of your users will play a huge role in how frequently they use your app. Apps are iterative, whether they are minimum viable products or mature, polished, and fully functional. Regularly updating the app experience with new features and personalized content will help keep users interested and engaged. It’s important to monitor analytics, track user behavior and listen to feedback to establish what features of the app drive usage. This information is essential to product roadmapping and helps determine what updates are the most compelling and valuable to users. Frequently updating and improving your app will help you retain users. You want to be continuously providing value or else you’ll lose them to your competitors as they’ll search for the best option on the market. If they find something better, that offers more value, they’ll delete your app, which will in turn, skyrocket your uninstall rates. When you’re implementing many different changes at once, it’s hard to lose track of what’s working and what’s not. Take it step by step so you can be able to identify what’s working and what’s causing drop-off. There is no generic equation for boosting user engagement and retention rates, but you do need to maintain the right balance between various tactics and the overall user experience. Just because push notifications are effective for one brand, doesn’t mean it’s the right approach for yours. Before you adopt any of these tactics, you need to assess if it’s the right choice for your app in particular. Will it add value for users or will it frustrate them? The minute you aggravate users, you’re sacrificing your retention rates. Weigh your options and determine the best approach with the user in mind. Today, the goal is not simply an app download, but retaining users to build brand loyalty. App engagement and user retention are equally, if not more important than user acquisition. Converting users to loyal, long-term customers will help increase average lifetime value (LTV) and generate more revenue for your app. The above methods can significantly improve user engagement and retention to ensure that your application has an impact in the highly competitive app landscape.